Are you using Internet Explorer 11 (comes with Windows 8.1)? Yes,Yes,Yes? Then let me congratulate you with your choices for the newest and greatest Microsoft products :). Now here comes the pain, be prepared: IE11 will not show you your schedule in any PDP or webpart by default! 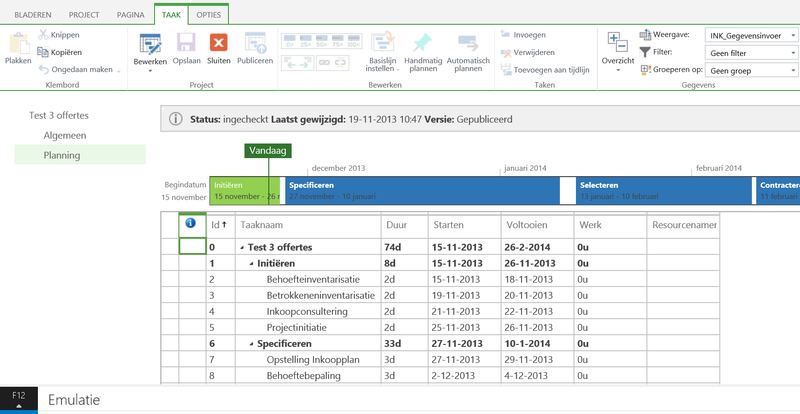 Here is a screenshot of a Project schedule opened with IE11 in all its default settings. Here is the desired and expected screenshot. This post is about getting IE11 and Project Server 2013 to work correctly again. I think it is due to user agent sniffing, the browser manipulates the page before you see it. The problem was also noticed in the earlier version EPM2010, back then it showed a error message: ‘This Project Server 2010 feature requires at least Microsoft Internet Explorer 7.0’. PPM2013 doesn’t give a message but the solution that worked in EPM2010 works in PPM2013 all the same. Thankfully the solution is easy: go to the settings gear in the top right and activate the F12 developer tools. This will bring up the developer tools where you can set the compatibility mode of the browser. In the Emulator tab change the document mode and the Useragent string to anything but the standard, I use IE10 myself. Project Online doesn’t seem to have the same problem. That is a nice indication that there will be a hotfix or servicepack coming that will solve this problem. If and when it’s here I’ll note it in this post. Edit 28 feb 2014: Service pack 1 has been released! I have not seen the issue after installing it to my test servers. Give it a try on your own test environment (you do have a test environment don’t you?). In my tests this does not nessesary have anything with SP1 to do. 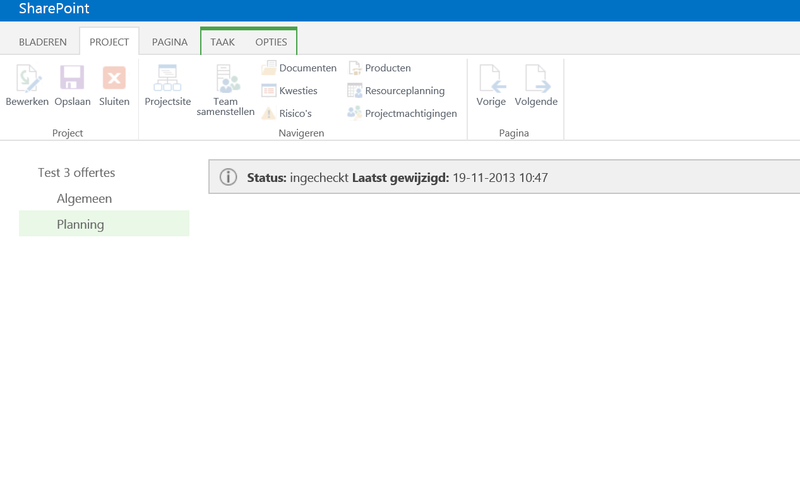 Adding the url to Local Intranet (in Security Settings) in IE solved the problem on the 2 other servers. Guessing this is a IE Security Setting, but i could not locate which one. Thank you for testing and providing us with the information! Do you know if Project Server 2010 is compatible with IE 11? Use chrome, save all this trouble ! Hahaha, Sujoy you might just be right about this. However Chrome isn’t a business standard at most companies I visit. Is there a group policy that can possibly cause this issue? Hmm interesting theory. However, setting the Internet Explorer to “compatibility mode” fixes the issue. There is no policy at the Project Server side that manages this that’s for sure.